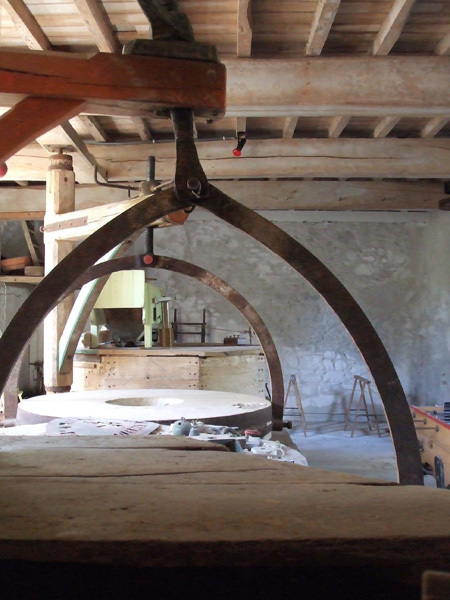 Above the arches of the mill’s wheels and its running water, the millstones and tools remain in a huge room we have transformed into an artistic place.. This unique room, well lit clear with its 6 windows , is specially cool and nice during the summer. It can be hired for creative art classes for 8 to 12 people. You will discover on the website www.arts-of-vero.com the various forms of expression that Veronique, "doctor in artistic recycling ! " and hostess of the house, can propose.